1052 square feet with 2 bedrooms and 1 full bath. New carpet, paint, water heater, and furnace. Cozy fireplace in the living room with high ceiling. 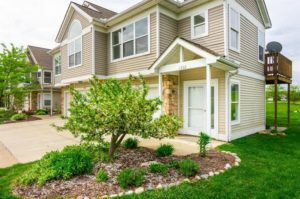 For more information or to schedule a private showing for 1712 Coburn Court, contact the Ann Arbor Condo specialists with The Bouma Group, Realtors today at 734-761-3060 or info@bouma.com. See more photos and features of the Weatherstone complex here!